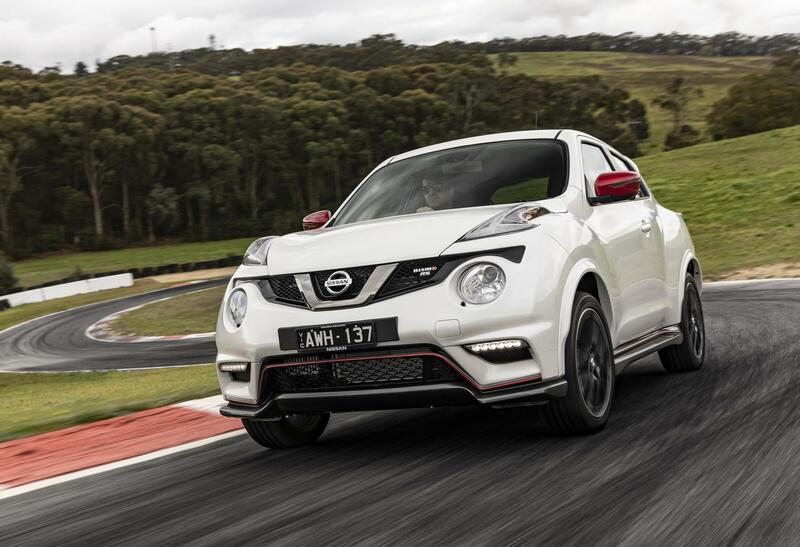 The Nissan JUKE NISMO RS has arrived in Australia, coming in as the third model under NISMO branding. It brings in more power, enhanced handing, and a racy design inside and out. 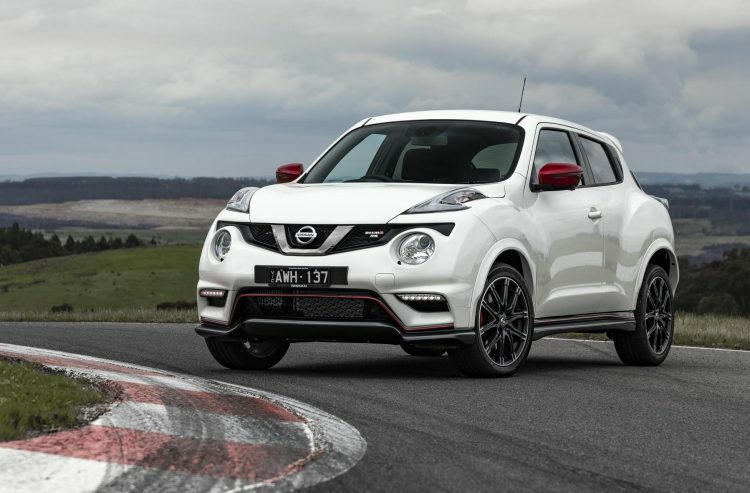 Nissan’s NISMO range includes the GT-R NISMO, 370Z NISMO and now the JUKE NISMO RS. 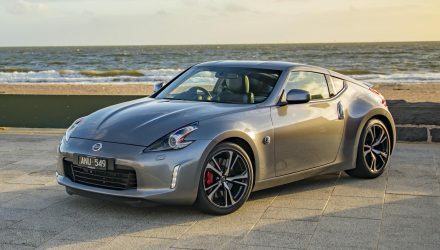 At one stage Nissan was planning to launch more NISMO versions of its cars, and it has since come up with models such as the LEAF NISMO and Note NISMO, but these are only offered overseas at this stage. 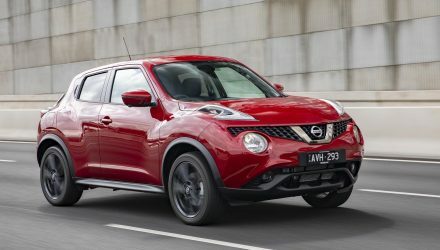 In Australia the new JUKE variant comes with an enhanced 1.6-litre turbo that produces 160kW and 280Nm when configured with the six-speed manual (up from 140kW and 240Nm). Going for the manual sees power sent to a front-wheel drive system via a helical-geared limited-slip differential. Opting for the CVT auto sees engine outputs drop slightly, to 157kW and 250Nm. However, this is sent through an all-wheel drive system. 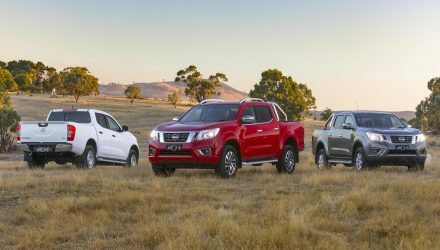 Figures for the 0-100km/h sprint haven’t been mentioned, but we’d predict the AWD version to be a touch quicker even with lower power and the added weight of a rear drive system. It’s not just about boosted engine performance, though. 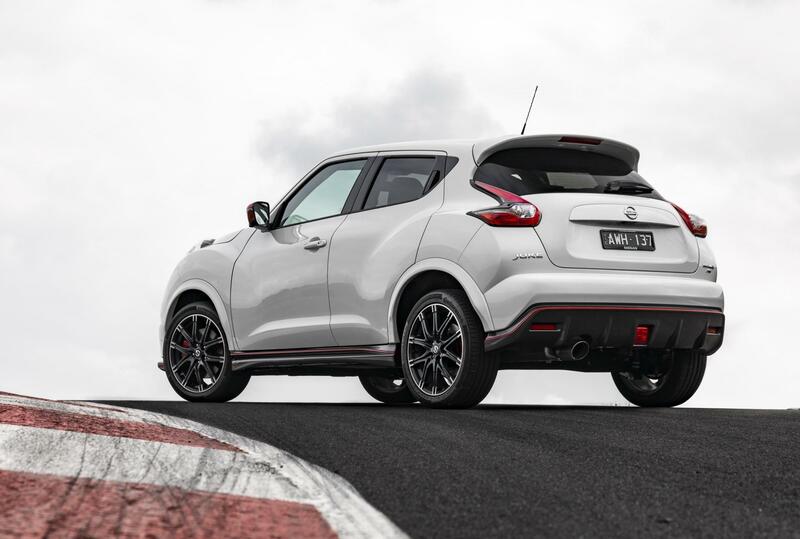 The Nissan JUKE NISMO RS comes with higher grade conrods in the manual specification, and uses a higher strength clutch and dual-mass flywheel. The chassis and body also receive a number of reinforcements to increase rigidity and handling precision. Also helping with handling, the spring rates have been retuned and the dampers are revised. Some changes are also made to the electric power steering system, with reinforcements to the front suspension links. The ride height is also lowered. 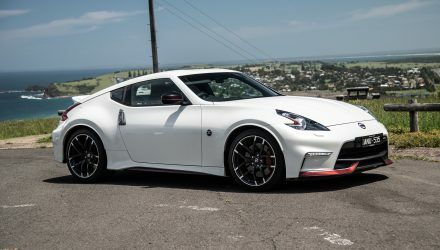 For the exterior, you won’t miss the unique NISMO bodykit with front and rear spoilers, side skirts, and special badges. It’s all complemented by a set of 10-spoke 18-inch NISMO alloy wheels. The wheels also hide larger brake discs, clamped by red calipers that house uprated pads. 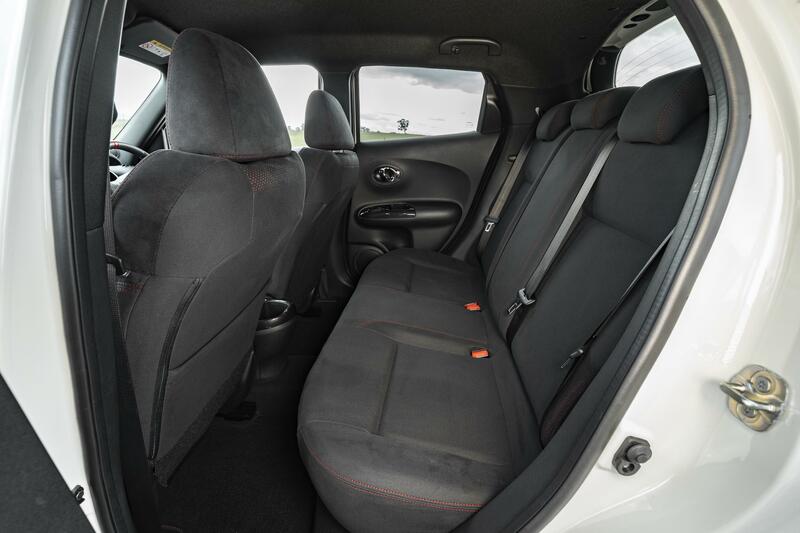 Lastly, the interior is given a makeover. 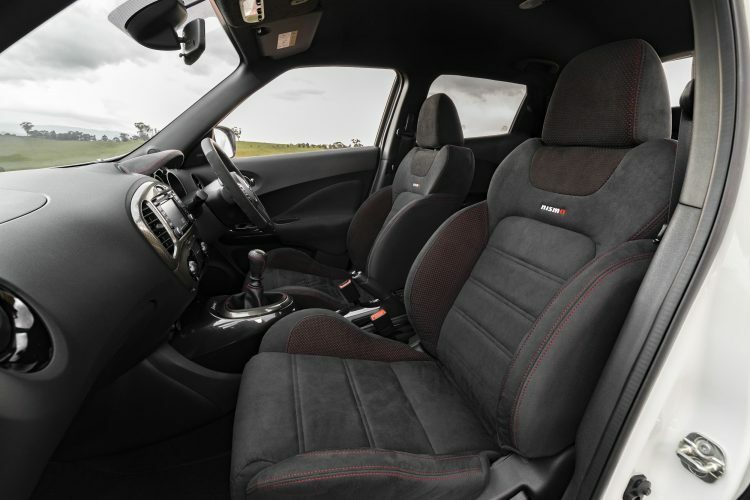 The front passengers are treated to a set of NISMO suede sports seats with red stitching, with a matching rear bench, and there’s a bespoke gear selector wrapped in leather and Alcantara, and matching sports steering wheel. 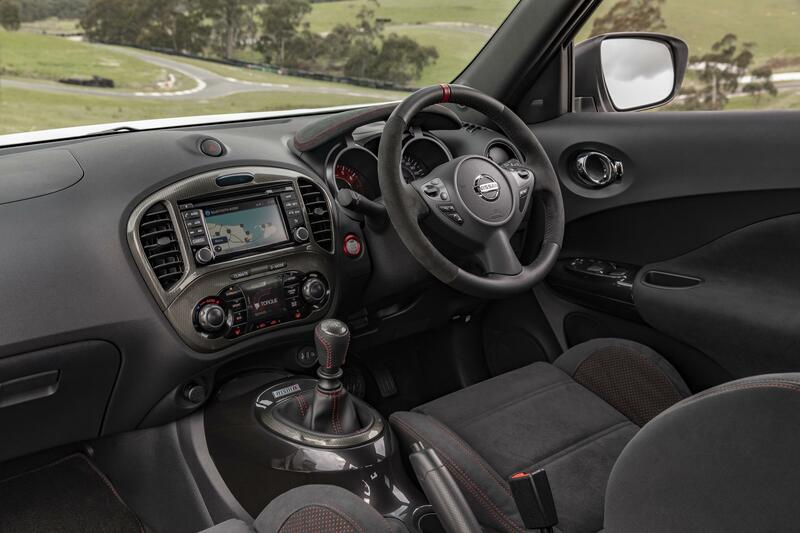 NISMO gauges and floor mats with special sill plates complete the package. 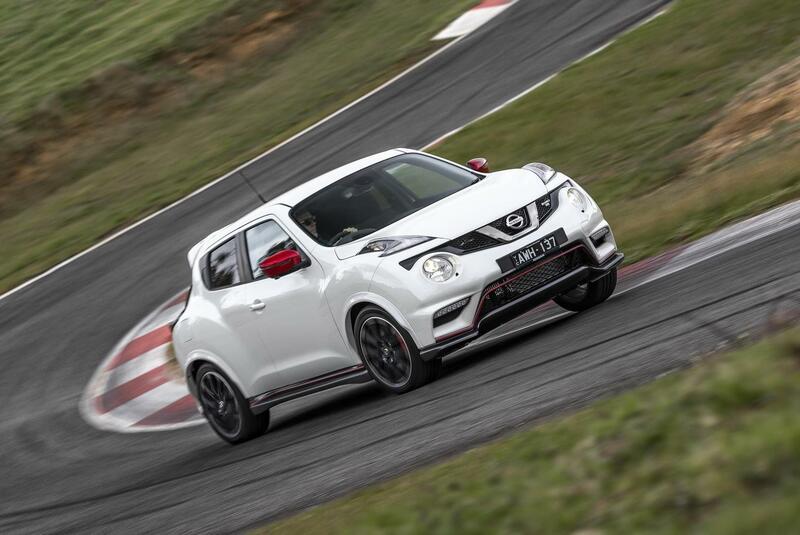 The Nissan JUKE NISMO RS is on sale now from the following prices (excluding on-road costs). It’s available in three colours, including Ivory Pearl, Pearl Black, and Platinum. 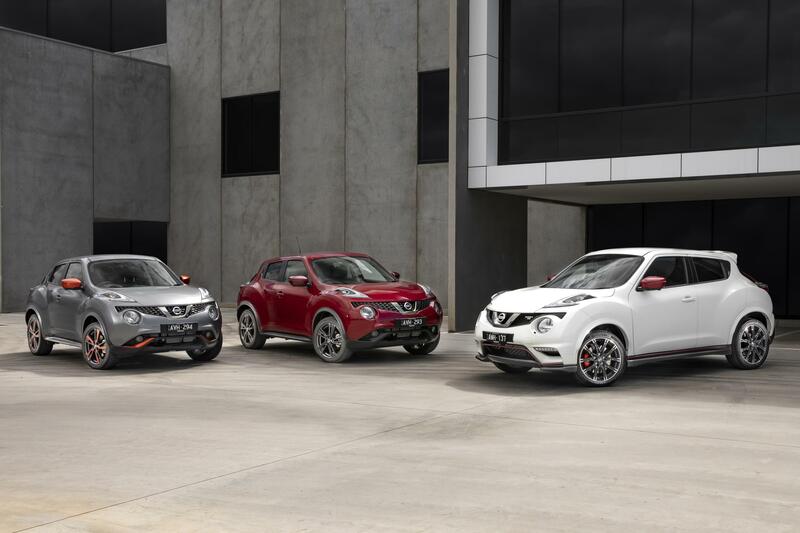 It joins the recently updated 2018 JUKE range.